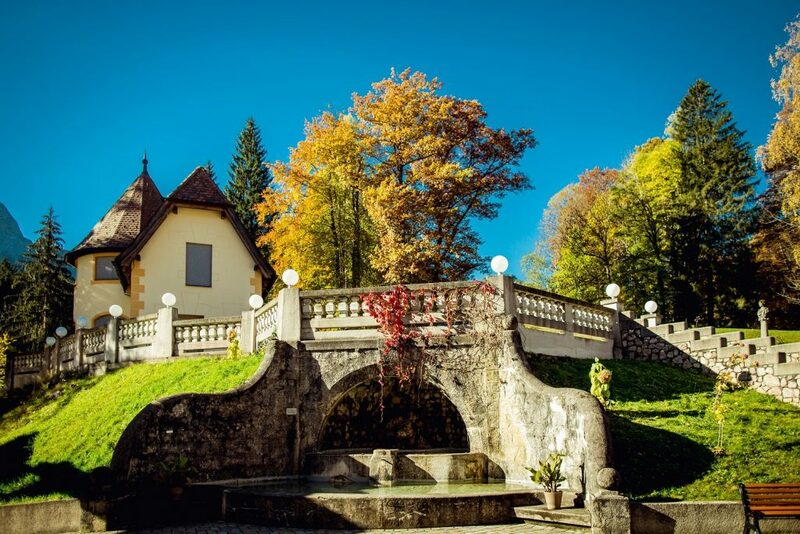 The Hotel Schloss Kassegg is a former hunting lodge that has been lavishly and lovingly renovated into a charming 3-star hotel. 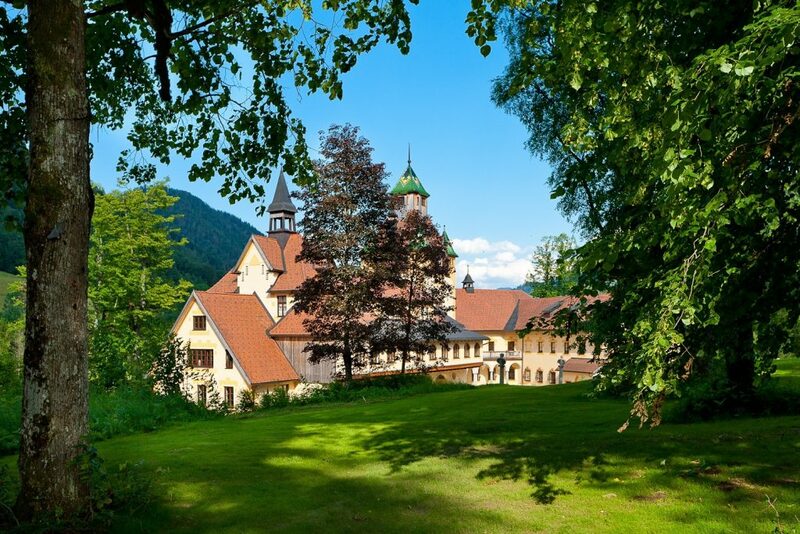 It lies in a quiet location at the edge of the forest, surrounded by the beautiful mountains of the Gesäuse. It is also directly on the River Enns Cycle Trail. Right behind Schloss Kassegg, you can access the wonderful Buchstein Circuit Mountainbike Trail. The hotel has 33 bedrooms, atmospheric premises, an arcade courtyard and a large park with a sunbathing lawn, a campfire pit and a barefoot path. The park is the ideal place to wind down and enjoy yourself after a day of sport. You can relax in our lovely little panoramic sauna or, if you book in advance, we offer soothing massages in our tower room. We offer half-board guests a hearty breakfast buffet and a 3-course set evening meal with a fresh salad buffet. All cyclists can be sure they will feel at home and well looked after. As an establishment with the ADFC bett+bike seal of quality, we also naturally guarantee a locked storage space for your bike.